Chiropractic for sacroiliac pain treats the joint using general spinal and SI-specific manipulations, with the possible addition of stretches, exercises and other methods. Chiropractic practitioners often focus on SI joint pain problems and how they relate to the larger spinal anatomy. Since chiropractors are spinal experts, it would seem obvious that they are well-qualified to diagnose and treat SI joint problems. However, this fact is often debated in the traditional medical sector, where chiropractic is still viewed dubiously by some physicians. Chiropractic is the third largest healthcare profession in the world and is voted the most popular, grossly eclipsing traditional medicine by a huge margin. This is understandable, given that most chiropractors are far more accessible than physicians and generally have much more pleasant and “down-to-Earth” demeanors. However, is chiropractic an ideal treatment option for SI joint pain concerns? This remains the most important question in patients’ minds. This essay delves into the chiropractic diagnosis and treatment of sacroiliac joint pain syndromes. We will examine the differences between chiropractors and physicians when it comes to treating SIJ pain and provide an objective analysis of the risks and benefits of chiropractic for patients who are still considering their treatment options. Medical doctors differ for chiropractors ideologically and practically. Chiropractors are very “hands-on”, while most types of physicians, barring sports medicine and physical therapy specialists, generally rely on external treatment products and services rather than actually performing any type of healing themselves. Physicians embrace a far larger ideology of possible causation of pain and are better qualified to treat all manner of health issues. Chiropractors often do not claim to treat specific health problems, but instead focus on optimizing general health and wellness by promoting proper spinal alignment. While both of these philosophies are great in their own way, the efficacy of chiropractic for SI joint concerns is immediately questioned, since many cases occur due to diseases and systemic issues that chiropractors simply do not and can not treat with any verified efficacy. Chiropractors choose to utilize natural and holistic methods of care, such as spinal and joint manipulations, exercises, stretches, nutritional counseling and the application of various technologies, such as lasers, heat, ice or TENS to reduce pain. Doctors tend towards oral and injectable drug applications, as well as surgical approaches to care, with the exception of physiatrists, physical therapists and sports medicine practitioners, who tend towards more conservative and constructive exercise-based treatment for SI joint issues. Patients generally prefer chiropractors on the basis of cost, availability and personality. The reasons for this preference are obvious, since chiropractors tend to develop more intimate bonds with patients, charge far less per consultation and are more flexible in many ways. Chiropractic is also preferred by patients who embrace alternative and holistic philosophies of care, since these attributes are well-embodied by chiropractic. 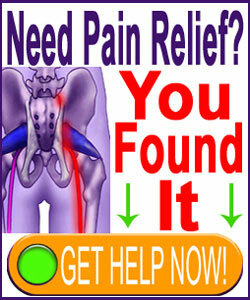 Chiropractic does not use pain management drugs for treatment. This is a huge advantage, since it spares the body all the harmful collateral effects of these various poisons. Chiropractic also does not utilize surgery, which is also generally very positive, since surgical intervention is utilized too often, sometimes irresponsibly, and can do more harm than good for many patients. There are few risks of chiropractic care and most patients report satisfying results of treatment, regardless of their diagnosis. Whether this is due to actual efficacy, placebo effect or a combination is the subject of much scientific study, since the methods of treatment are not verified to be effective by the traditional medical establishment, but it is obvious that most patients seem to benefit in some tangible way from ongoing care. Many of the advantages of chiropractic can also be viewed as downsides, depending on point of view. Chiropractors are generally less well versed in every aspect of healthcare than physicians. While they receive a comprehensive education, they are still limited in what they can treat (effectively) and how they can treat it (effectively). This makes some SIJ diagnoses less obvious as conditions that are objectively considered to be well suited for chiropractic therapy. Not using drugs or surgery can also be disadvantageous, since some patients and conditions might warrant the application of either or both. 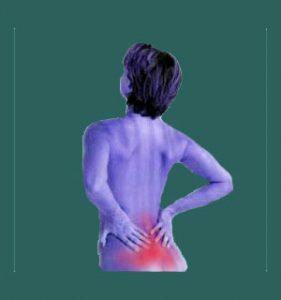 Some sacroiliitis inflammation conditions can be best brought under control using targeted pharmaceutical therapies short-term. Meanwhile, some patients do require surgery and will greatly benefit from it. Some patients in chiropractic care do not know that they can end their pain for good if they simply acquiesced to a relatively minimally-invasive surgical technique. Instead, they are not given this option and are forced to endure continuing pain and expensive treatment for decades. All-in-all, we feel that both chiropractors and physicians have their place in treating sacroiliac joint pain syndromes However, it is important that all practitioners, regardless of healing philosophy or practice, maintain high standards and ethics, in order to move patients towards ideal treatment methods, regardless of whether or not they offer these interventions personally. Failure to do so raises serious ethical considerations, many of which we have seen during our advocacy efforts at The Cure Back Pain Network. When chiropractors treat according to their ability to objectively heal, and refer when this is the best path of action, then we fully embrace them as potentially effective and justified members of any SI joint care team.